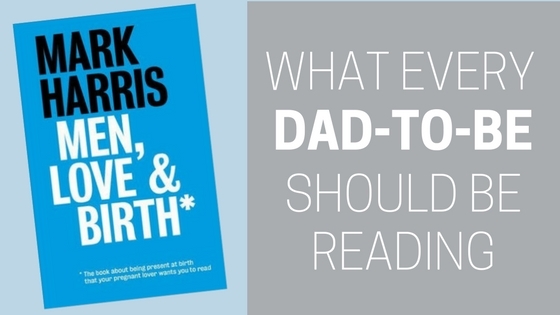 And so finally – the definitive Bloke’s Guide to Birth! 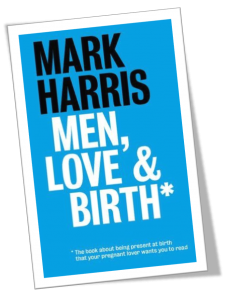 I heard the Author of this new book, Mark Harris, being interviewed on Radio 2 this afternoon while I was driving back from teaching a class. He came across as being warm, honest and knowledgeable. It was clear he was interested in helping Dads to help their wives/partners through their pregnancies, and also to give them useful tools and guidance to become awesome Birth Partners. He seemed to know what he was talking about – I guessed he had attended the births of his own children and wanted to share some insights. And here’s the kind of stuff he writes about. He’s a big fan of Men doing whatever they can to keep a good and constant flow of OXYTOCIN flowing. This is the hormone that is needed for birth, and it’s also the hormone that kicks in when we feel LOVE. So he encourages his fellow Men to do lots of little things around the house, and importantly, to not seek out any reward for it, ie. Wash the dishes without being asked. Don’t expect and don’t ask for any acknowledgment. Mend the garden fence, without being asked. Don’t expect any reward. Do a load of laundry, without being asked. And not expecting anything in return. Don’t you just want your partner to read this book! So there you have it. If your husband or partner is feeling a little out of his depth, if he feels inadequate in his ability to support you, or if you would like to understand a little of what he is possibly going through, then this is the book for you. If we want the men in our lives to step up when they step into the labour ward, then this is the book for them. Let me know how you get on once you’ve read it. Or let me know how your husband/partner got on after reading it!